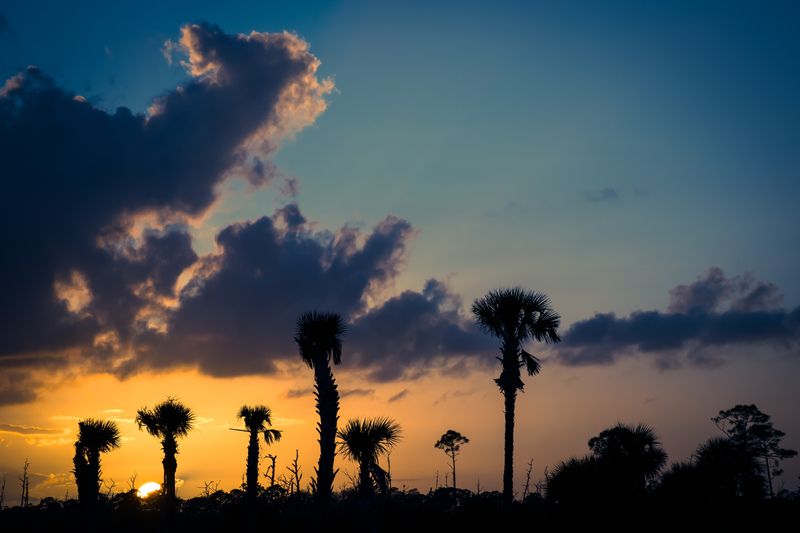 After packing up and leaving Bahia Honda we headed north towards our next destination…home. We weren’t in any rush but agreed that it would be nice to be back in Philly by week’s end. However, after getting on the road and checking the upcoming weather it was pretty obvious we weren’t going to make it very far. There was a snowstorm hitting PA with a follow up storm mid week and another predicted storm over the weekend. What the what?! It’s one thing to try to maneuver a car (or SUV or truck) in the snow but another thing entirely to do it in a 35′ motorhome towing a vehicle. Not gonna happen. So we decided to wait out the storm(s). 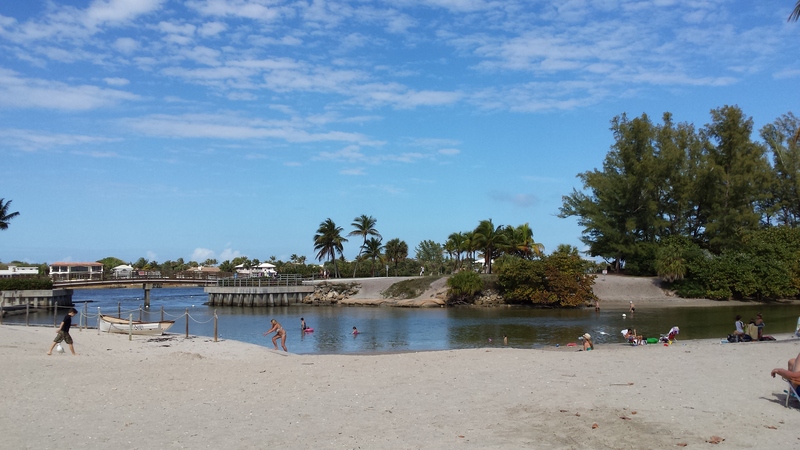 Our stay had us in Jonathan Dickinson State Park in Jupiter Florida. We got lucky because a site opened up for over a week. We booked it for 5 days and figured we would keep an eye on the weather on go from there. The campground was very large and the park itself gigantic. We were pleasantly surprised when we arrived that all sites (in the Pine Grove loop) had full hookups, with sewer…yay. This amenity is not listed on their site as being available. 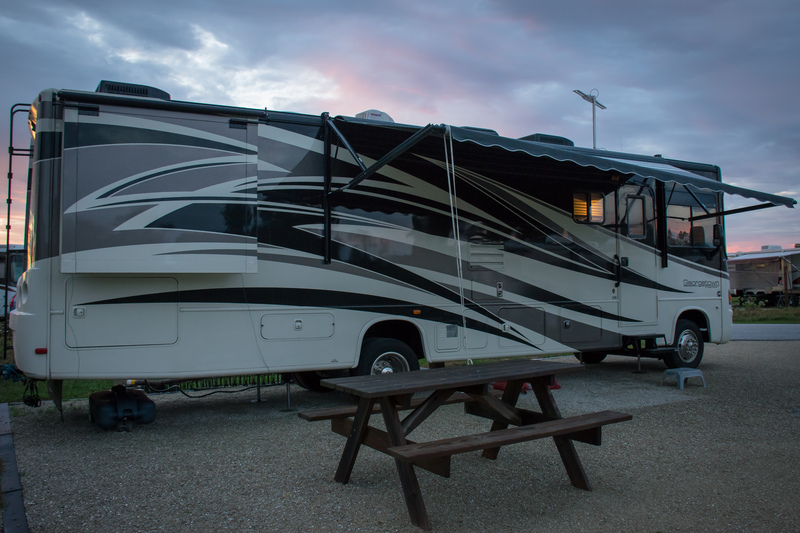 There are over 80 sites in the Pine Grove loop and all sites are large with plenty of room for your slides, awnings, cars or whatever toys you bring with you. While there is little in the way of shade/trees/privacy (due to a hurricane AND fire that wiped out the campground several years ago) the layout and cleanliness more than make up for the lack of it. 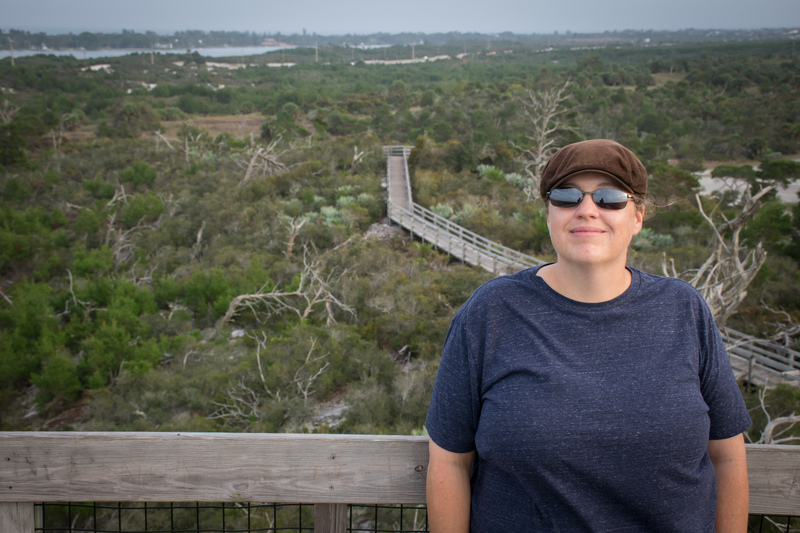 Since we had a few days to hang out and the weather was fabulous (80’s all week) we did some exploring in the park and around the town of Jupiter. 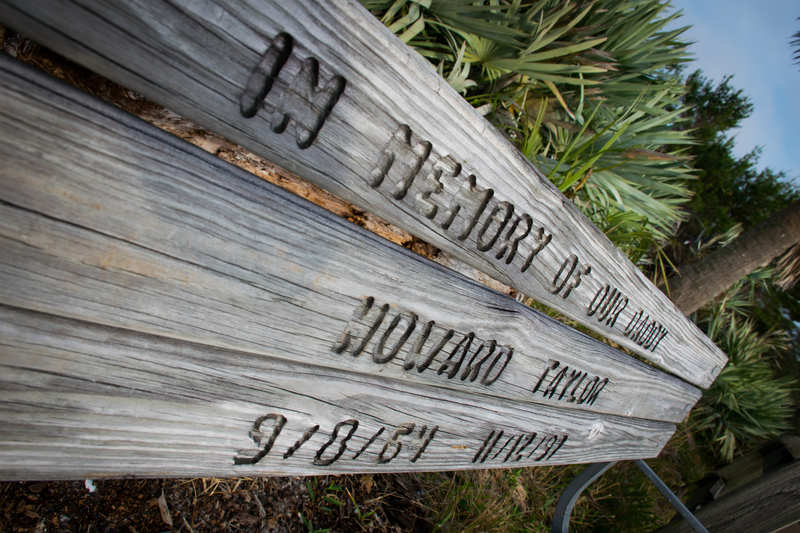 We headed over to Dubois Park to check it out since we had heard great things about it and I’m very glad we did. It’s on the coast so yes, you can swim in the ocean, or surf if you’re up for that. But they also have a couple of inlets within the park to enjoy that are free of waves…whether you want to snorkel, wade in the shallows or swim a few laps. In addition to the water there are plenty of pavilions for picnics and benches for chilling out. We spotted many of people, young and old, savoring the area. Dog walkers with frisky canines and artists with easels merged and blended together in this amazing outdoor space. Dubois Park is a wonderful place for people of all ages, we enjoyed ourselves immensely while there. While in town we attempted to check out the lighthouse. I wanted to get up close and personal to take some photos. 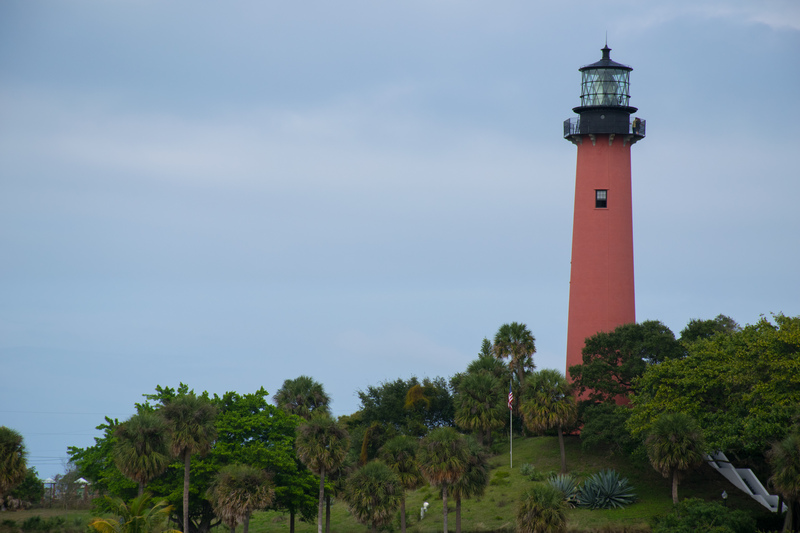 We have been to a handful of lighthouses in Florida and up the east coast of the US and I have enjoyed being able to get some great pictures, it’s always been free to browse and pay to tour the inside. Not so with the Jupiter one. There is a great big gate around the entrance with no other areas to get close to it and a sign that says you must sign up and pay for a personal tour. Not really my cup of tea…so I passed on that. We left and headed over the bridge to a restaurant area across from the light house where we were able to view it better, for free. Back at the campground, we did some more exploring, mainly to check out the ‘mountain’. A mountain in Florida? You better believe it! 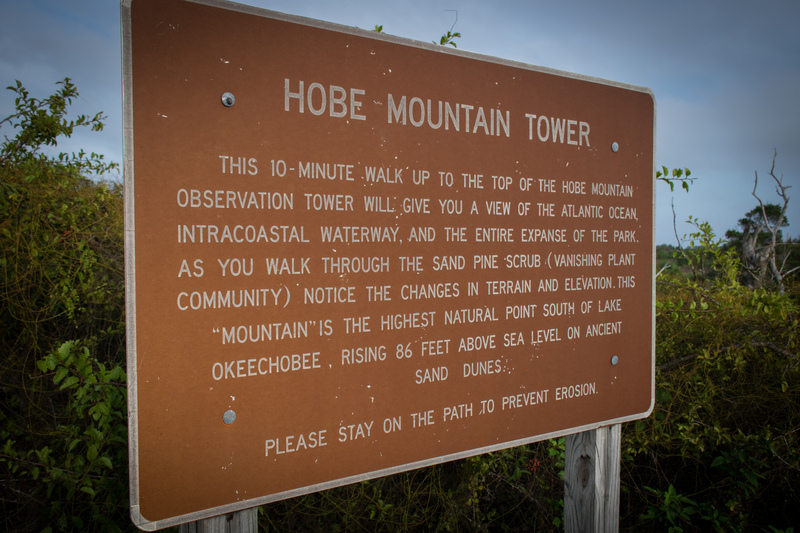 Located within the park and about a 5 minute drive from the campground is Hobe Mountain. 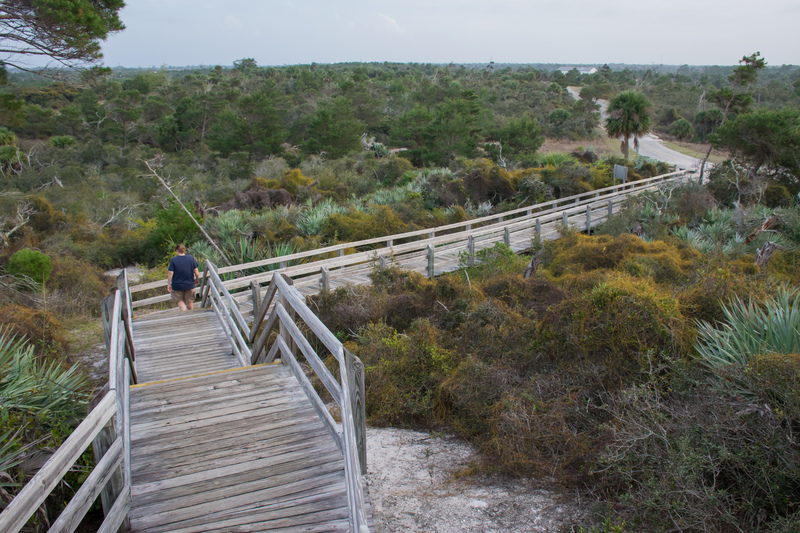 It is basically a really old sand dune that rises 86 feet above sea level, which pretty much makes it one of the highest points in all of Florida. Being from mountain rich PA and as well as being avid snowboarders who have visited other states in which we have surfed down big hills rising over 10,000 feet…we were pretty curious. 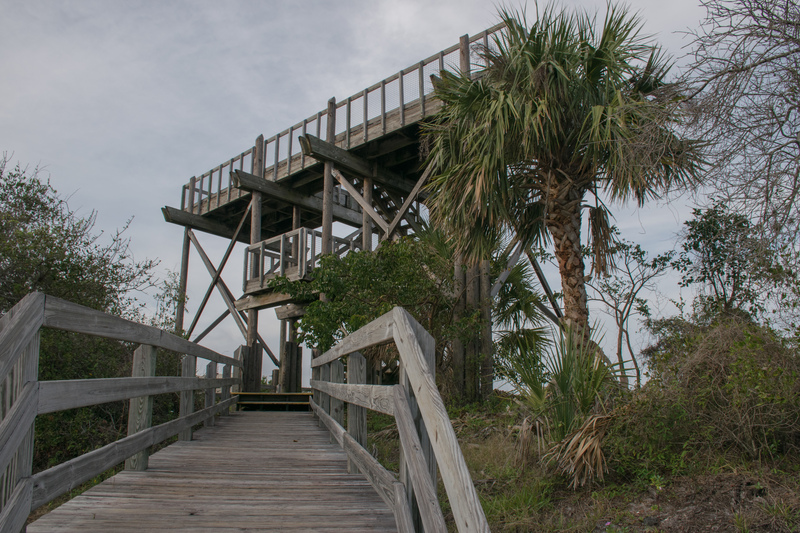 There is a boardwalk leading up the mountain to an observation tower. 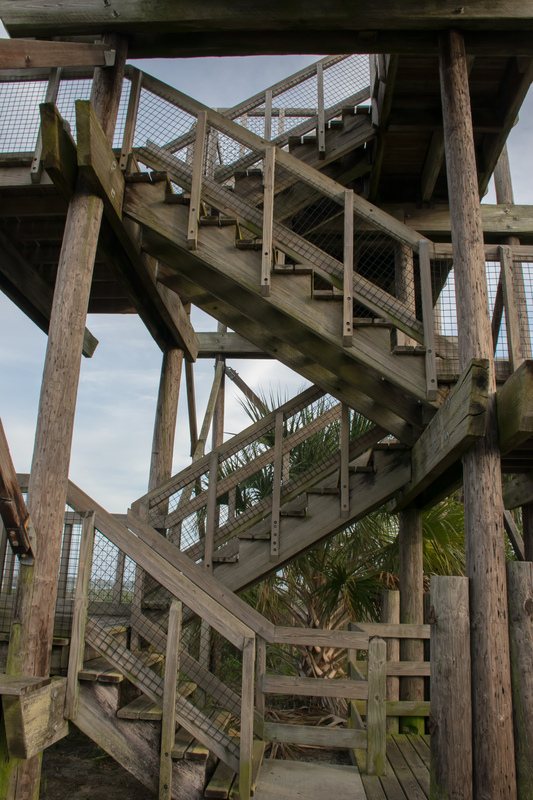 Once you climb this tower, you can look out to get a great view of the park on three sides and the Atlantic ocean on the other. I’m not one to be afraid of heights, but I’ll admit that my tummy dropped a tad bit when stepping up to the edge of the platform. There were plenty of other things to do in the park. From hiking and biking to renting canoes or even taking a river boat tour. 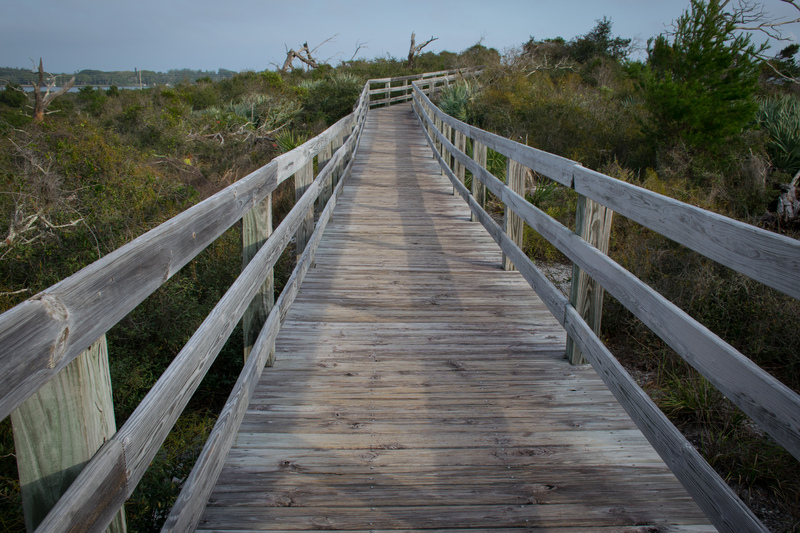 We enjoyed the peacefulness of the park and it’s close proximity to the attractions around the beautiful town of Jupiter. I highly recommend staying in Jonathan Dickinson, whether it’s just a quick overnight place to lay your head or an extended get away…two thumbs up from me! After almost a week in Jupiter, the waiting game was over and we hit the road yesterday to begin our voyage home. We feel very fortunate to have dodged the storm bullet. Philly and the surrounding areas got hit HARD and some folks are still without power from the most recent ice blast. There had been a prediction for a third storm tomorrow, Sunday, but now they are saying it will only amount to a couple inches of snow. We should be pulling into Philly sometime early next week, during a cold blast with temps in the mid 20’s. Guess it’s time two break out the coats! 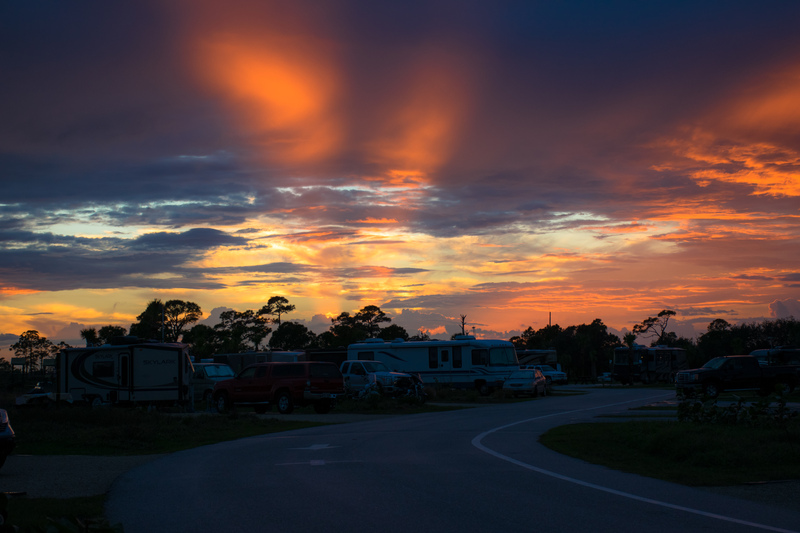 Tags: camping, Florida, LGBT, motorhome, RVing, travel. Bookmark the permalink. Previous post ← Do We Have to Leave? !